Working in the logging industry can be full of adventure. For those who work out in the field cutting down large trees, having the best protection you can get is vital. It is very important to make sure your feet are protected and stable during the long hours you spend on your feet performing logging work. Our high-quality men’s logger boots will provide you with the traction, support, and safety you need for your feet. The boots we offer at HAIX® are made from the best materials available, and are recommended for the most challenging logging environments. We provide both and steel-toe (Protector Prime, Protector Ultra) and composite-toe (Airpower® XR200) boots, so you can be sure you have the protection you need when operating chain saws and working around crush hazards. These options not only protect your feet, they also help prevent damage to the boot’s structure. HAIX® men’s logger boots keep your ankles and heels stable, helping to prevent ankle rolls. With the insoles of these boots you can have comfortable, well supported feet and ankles throughout your entire work day. The toe portions and heel of these boots are elastic, and help you to remain on your feet for longer periods of time without tiring. The logger boots we offer help you maintain solid traction, regardless of the conditions. They will help prevent slips in both dry and wet conditions. The tall heels on these boots enable you to dig securely into the terrain to find a solid footing. These boots also have lugs on the souls that help you maintain traction when standing still. You need men’s logger boots that are reliable and durable. They need to take the impact of debris as well as weather everyday wear and tear. 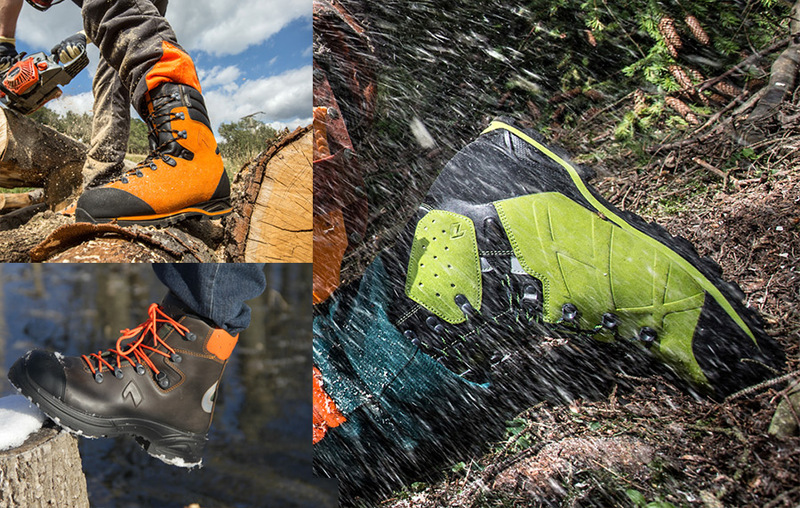 Our logger boots stand up to the challenges of active work environments over the long term.